When we see this plant, we are highly alarmed. It has a horror quality to it. The way it grows, what it looks like, and what it does. Maybe in its native Asian habitat it is an elegant and necessary addition to a well-rounded ecosystem, but here it is a dangerous emerging invasive. We will describe it for you and tell you a story about how it has pulled us into the forest for the winter, creating a demand for our focus and attention on one very blighted area exemplifying urban park deforestation. 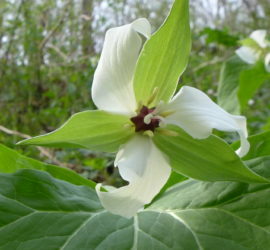 This annual Asian vine is considered an emerging invasive in Morris Park; however it is being spread rapidly and is occurring in the most disturbed areas of the park. Along the southern portion of the Eastern Branch of Indian Creek, where it appears soil has been transported from elsewhere out of necessity to fill in severely eroded streambanks, there is an especially dense invasion of this species, which we have made attempts at pulling out. Being that it is an annual, just pulling the plant before it goes to seed is enough to make a difference, as long as all of the plants in a given area are pulled! 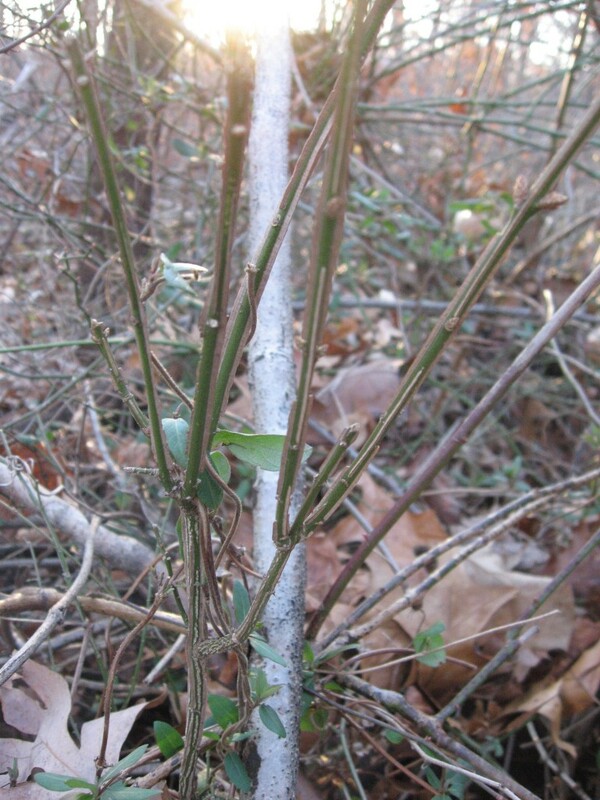 Note the triangular leaves of this very slender vine. At each leaf node, where the leaf stem intersects with the vine, there is a small rounded collar that is pierced through by the vine giving it the perfoliata part of its Latin name. Also of note is the prickly reflexed barbs that make this vine very unpleasant to come into contact with. 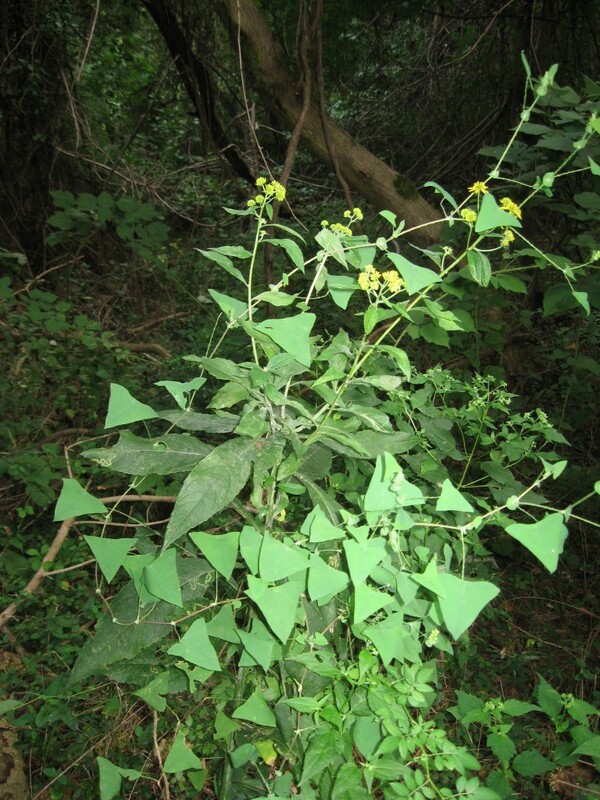 The light and delicate habit of this vine, allows it to grow rapidly, and cover over shrubs and trees, especially in already degraded areas of forests, forest edges, and cleared areas along railroad tracks, roads, right of ways, etc. It is also being found in the forested areas of Morris Park, where it is most likely being transported by the increasingly abundant Deer population. The vine enshrouds other plants, using their structures as a means to climb and reach sunlight, creating an unsightly mass of triangular leaves and barbed stems until there is nothing left to see but this plant. Then come the berries, these juicy, attractive blue berries are the sole means of propagation. Birds could also be consuming and transporting the seeds contained within, to any location, including your own yard! We find this vine in our yard every year. If you see the seeds, remove and trash them. The best control is close monitoring of at-risk sites and of course your own yard and uprooting of the plant before going to seed. This is a similar control method to Garlic Mustard, except you do not have to remove the plant if you get it early enough. 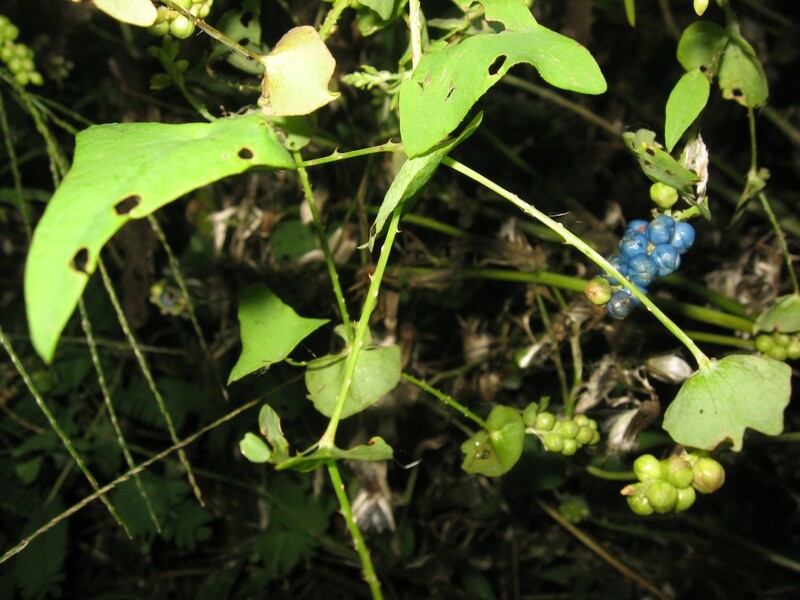 Keeping an eye out for emerging invasives such as Mile-A-Minute is an ongoing activity. However in some blighted areas so dense with invasives that they are impenetrable, detecting emerging invasives is difficult. This is a situation where a blighted area can become a source of more blight. 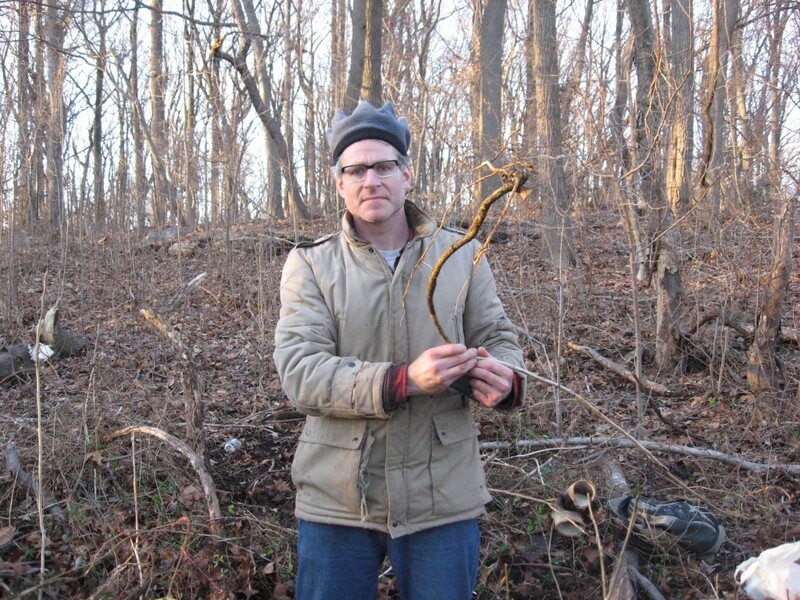 In one such area of Morris Park, an infestation of Mile-a-Minute was found after chopping through the thorny, dense thickets of the invasives Wineberry and Multiflora Rose. These two species can pierce through clothing and skin, easily drawing blood, tearing clothes, and causing pain as well as itching and irritation. 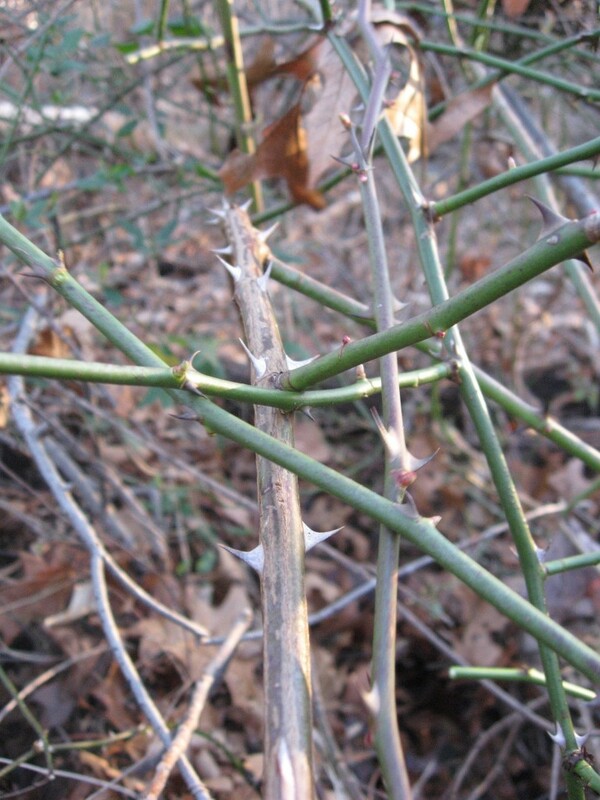 The Multiflora Rose has thorns that will grab, rip and penetrate clothing and skin, while the Wineberry has needle-like spines that can remain in your clothing and skin. These two species grow in thickets, with tall, arching growth habits, where the tip of the plants can actually root themselves several feet away. In an infestation, this behavior creates fence-like enclosures that are very difficult to enter. Above is Mile-a-Minute that has been able to grow and produce seed. This is a picture of the ugly remains left behind. We were physically unable to monitor this site by the thorny thickets and visually obscured from it by the dense entanglement of Japanese Honeysuckle that has been choking the nearby bushes and small trees. It took a really cold December day to get near these dormant plants and begin exploring what was growing in the area. The discovery of the Mile-a-Minute was disturbing to see. Enough is Enough. We had to do something about this mess! The first order of business was to remove the Multi-flora Rose and the Wineberry by pulling them out of the ground with the help of digging tools and very thick gloves. These plants were then chopped up with clippers and scattered about, just off the site, so there is no big ugly pile of plant material left behind that will stifle the growth of native plants. The uprooted plants will then die on site and they will decompose back into the soil maintaining the bio-mass of the forest. Then the Japanese Honeysuckle vines which were climbing up the small trees and shrubs and covering the ground in a dense matte were all pulled up as well. Below is a ‘before’ picture of the site from the main trail. 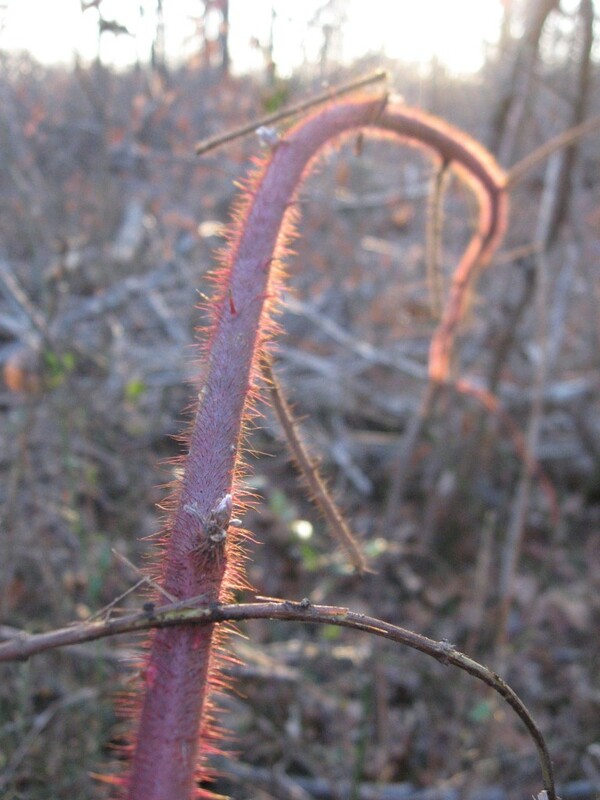 Below is a picture of Wineberry, showing its spines, color and habit, all with the backdrop of the late December light. Below is the Multiflora Rose. The thorns on these branches are as sturdy as they look, firmly attached to the stiff plant, they have little give and lots of shredding power if moved across them at a hiking pace. Moving through a thicket of this is also an easy way to get ticks and become susceptible to Lyme Disease. This is not an environment we want to have so close to the densely populated rowhouse neighborhood of Overbrook. You can see how this plant creates an impenetrable thicket. The stems are as stiff as they look, the older ones with a woody stiffness. In a thicket, the criss-crossing of the stalks makes them even more like a barbed-wire fence. Approaching the mechanical eradication of these plants, the outer portions are snipped down with a clippers until just about a foot remains above ground. 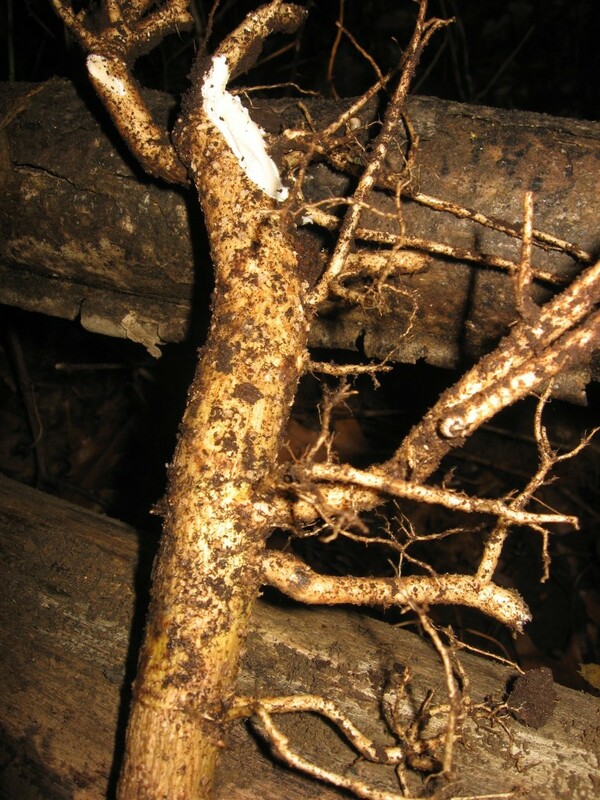 When all of the infestation is clipped down and the stalks are dispersed, than the lower portions can be removed from the ground by using digging tools to loosen the roots and then gently pulling and tugging on the roots until most of them can be teased out of the ground. The plant will then die above ground. 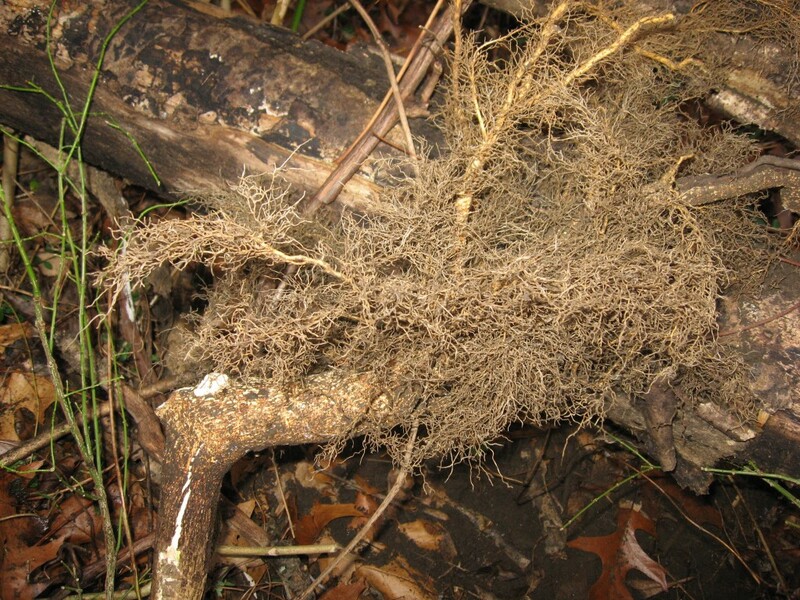 Any portions of roots left in the ground may re-grow in the ensuing years, so the site will need to be monitored, as is usually the case in any eradication effort. After the roots are removed, we intuitively put the soil back in place and cover it with leaves, with the idea to do as little disturbance as possible, only displacing what we absolutely must. It also looks better. Often, a disturbed forest never looks right. It seems overcrowded and entangled or on the opposite side of the spectrum barren and depleted, depending on the blighting condition. A healthy or restored forest has a ‘comfortable’ look to it: We can see the trees, the shrubs, and short plants growing along the forest floor. No one thing dominates the landscape. We could walk through it if we had to. We can see through it to an acceptable degree. When we remove the invasives from an infested section of the Park, It looks better, and in just a few short years it looks great! 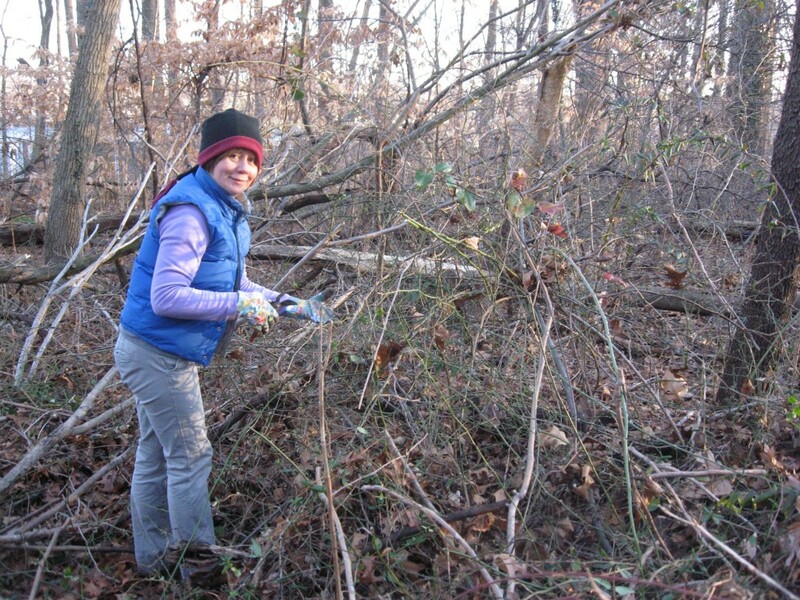 Our adventures clearing the invasive thicket revealed a whole series of other invasive trees and vines that were growing amidst the Multiflora Rose and the Wineberry. We encountered and removed close to 100 specimens of Tree of Heaven (Ailanthus altissima) saplings and seedlings, Japanese Angelica tree (Aralia elata), and about 50 vines of English Ivy (Hedera helix). These plants were removed by pulling and tugging, getting as much of the roots out as possible, and then placing them above ground , spread about just off of the disturbed and currently-being-restored site, where they will die, their roots unable to reach soil. Above is the root of the Tree-of -Heaven. As we work, we have learned to identify the plants we are saving and removing, from the leaves, the stems and the roots. As we move along through each species, they become more and more easy to distinguish. The roots of the Ailanthus are very pale, and often have the 90 degree angle in saplings. 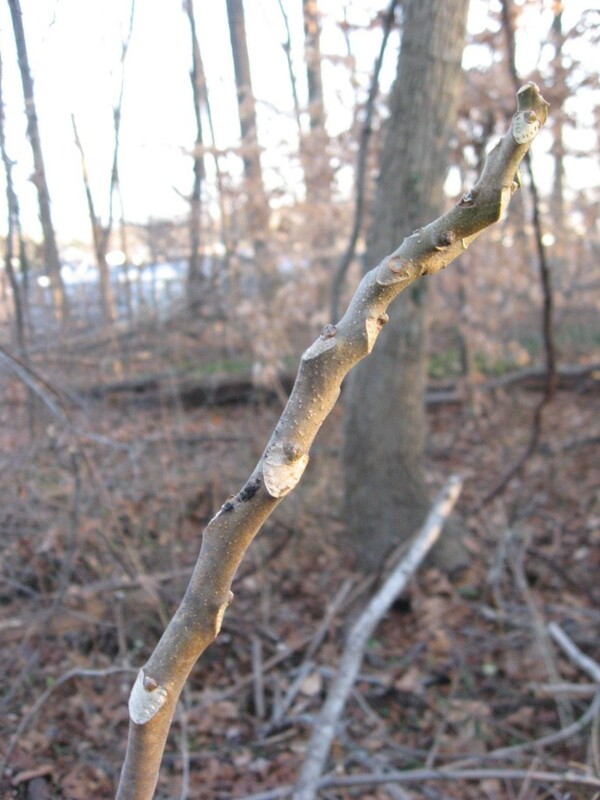 The bark is smooth with a silvery-tan appearance and large, pale heart-shaped leaf-scars as shown the second picture above help distinguish this tree in its sapling stage. 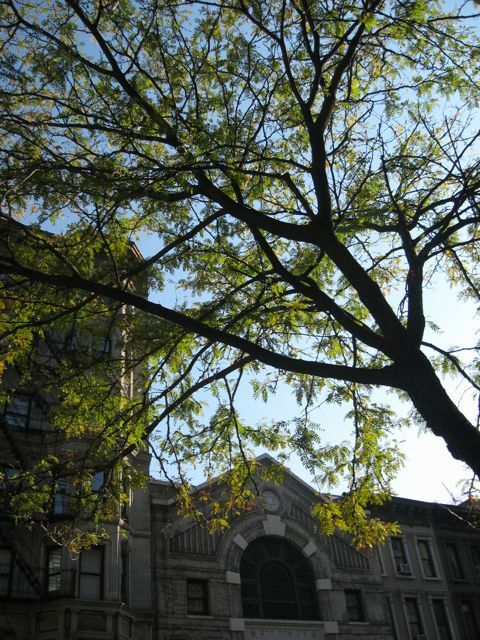 This Ailanthus tree has such an iconic presence in the City Of Philadelphia, that it is easy to distinguish once you start focusing in on it. 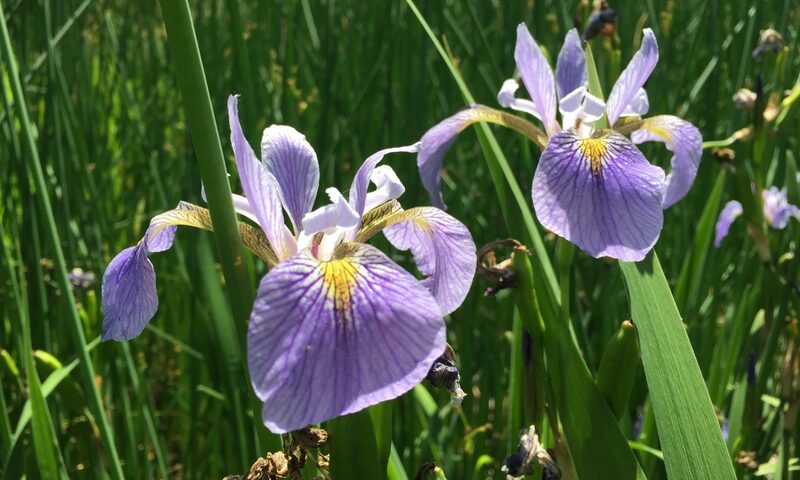 It always helps to consult with those in the know, like your local municipal authority and Parks and Rec official who may deal with problematic invasive species daily and is more than willing to educate you on the ones that grow in your area of concern. 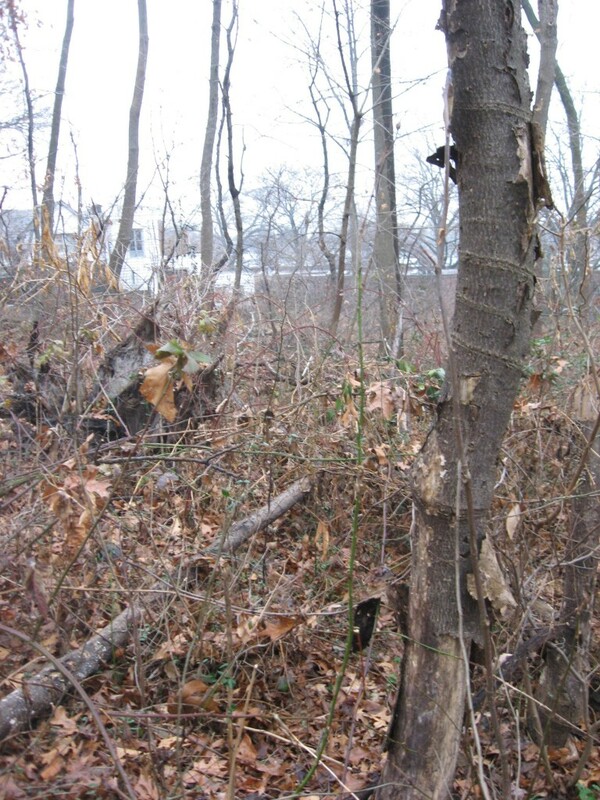 In fact, we were not only educated about them, but The Philadelphia Parks and Rec Department took our Invasive tree problem so seriously that they came out and applied basal bark herbicide to the infestation of a maturing cluster of Tree-of-Heaven in the area that we are now working on. These maturing trees were reaching forty feet in height and were throwing out thousands of seeds every year. The trees are now all dead and have fallen down. Now we have to monitor the site and pull out the hundreds of seedlings that sprout every year. Above is the root of the Japanese Angelica Tree (Aralia elata). This problematic invasive has also required the partnership with the Philadelphia dept of Parks and Recreation. Their application of Garlon4 ultra, around the base of the trees in February 2011 and 2012 has resulted in the death of these maturing trees, which were also producing thousands of seeds per year, and now there are the resulting thousands of seedlings growing, which we will have to be pulling for as long as we are able. Once both of these species have reached maturity, it is very difficult to eradicate them manually, and the use of herbicides becomes necessary. The reason for this is that these trees develop large underground root systems that are capable of re-sprouting aggressively even if the above-ground plant is removed by a volunteer. We appreciate our partnership with the City of Philadelphia in that they can eradicate the larger specimens and infestations and we as volunteers can focus on the details of completing a thorough environmental restoration, which can often evolve into a tedious but necessary ongoing inspection and maintenance of each site. As we ventured further into the depths of this highly disturbed site, we discovered the invasive shrub, Burning Bush (Euonymus alatus). We yank it out gently, getting all the roots and toss it off site where it will die, or hang it from an adjacent tree or shrub. Above is the roots of the invasive exotic shrub, Euonymus alatus, Burning Bush, just pulled out from the ground here in Morris Park. 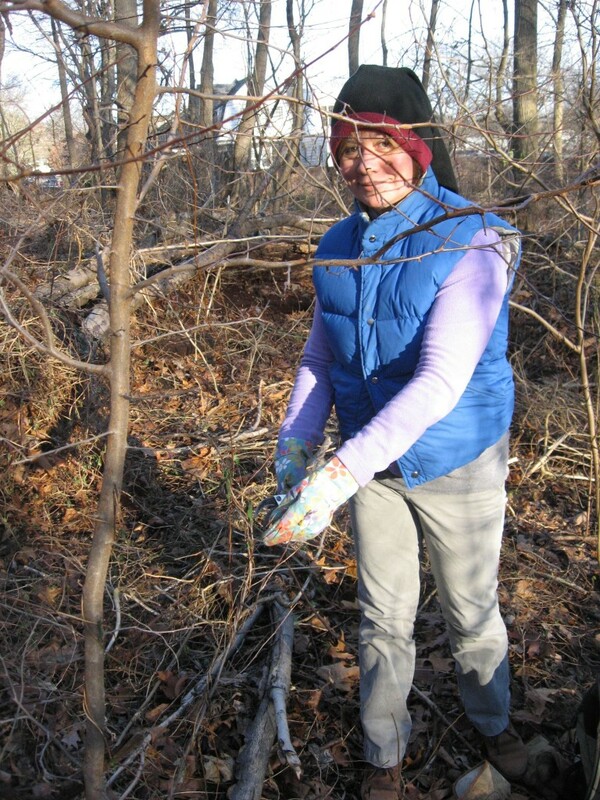 We see this invasive shrub in many sites in Morris Park and within the Fairmount Park System, and would love to have all of the time and resources to pull it out! Above, we see the invasive tree, Ailanthus altissima, the Tree-of -Heaven, Multiflora Rose, (thin green stalks), Wineberry, Mile-A-Minute, and Japanese Honeysuckle, all of them growing together in a mass of invasives. 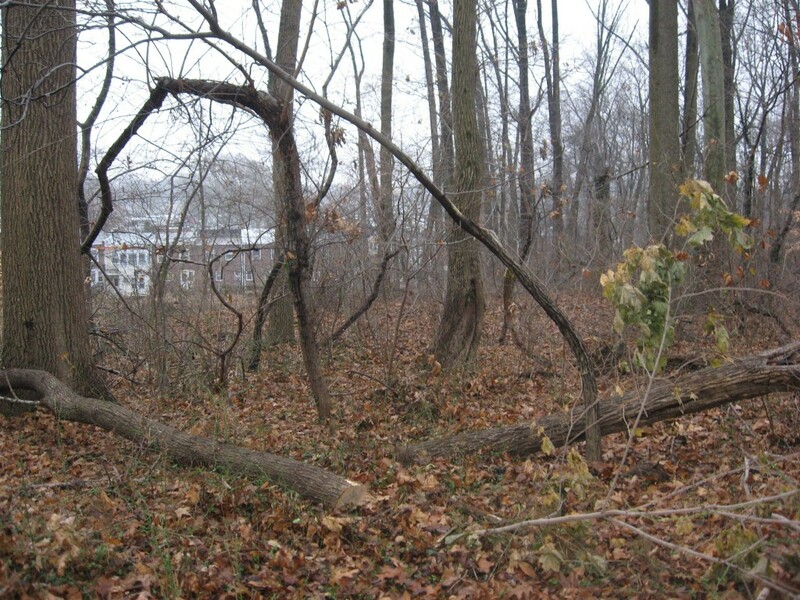 This dead Tree-Of-Heaven was one of the ones sprayed with Garlon 4 Ultra in a basal-bark application in Late February 2011 by Philadelphia Parks and Rec. This infestation of Tree-of Heaven, Japanese Angelica tree, Japanese Honeysuckle, Burning Bush, English Ivy, Multiflora Rose, Wineberry, Mile-a-Minute and Garlic Mustard will take us all winter to remove. Whenever we have time, an hour here and an hour there, we are out there, getting some sunlight, some exercise and something accomplished. 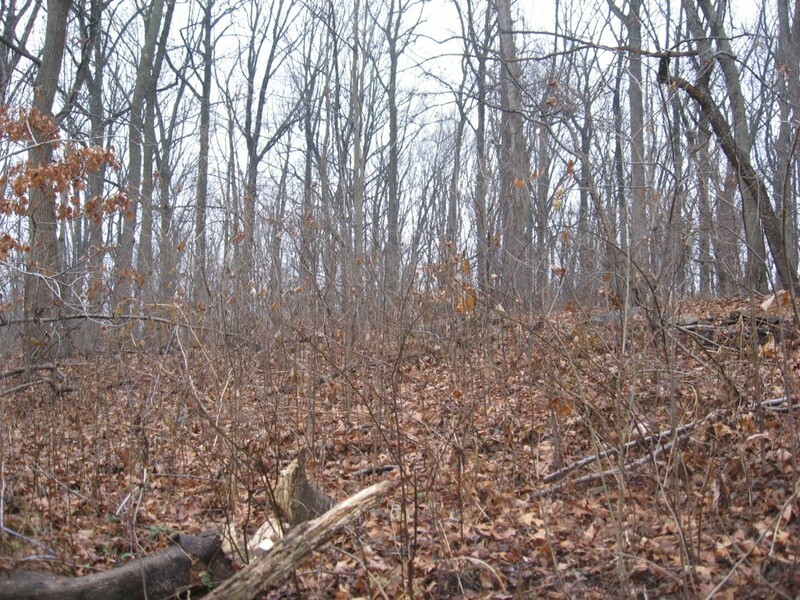 The scene in the back-ground,adjacent to the site we are currently working on pictured above and below, was at one time full of these same invasives that covered the forest floor, the shrub layer and climbing up the trees, now all gone. When we first pulled them all out five years ago, it wasn’t as pretty, but now those plants have rested on the forest floor, decomposed into soil, and are being slowly transformed into native plants under our watchful eye. We monitor this partially restored site for invasives every year, and pull out the Mile-A-Minute vine whenever we see it. 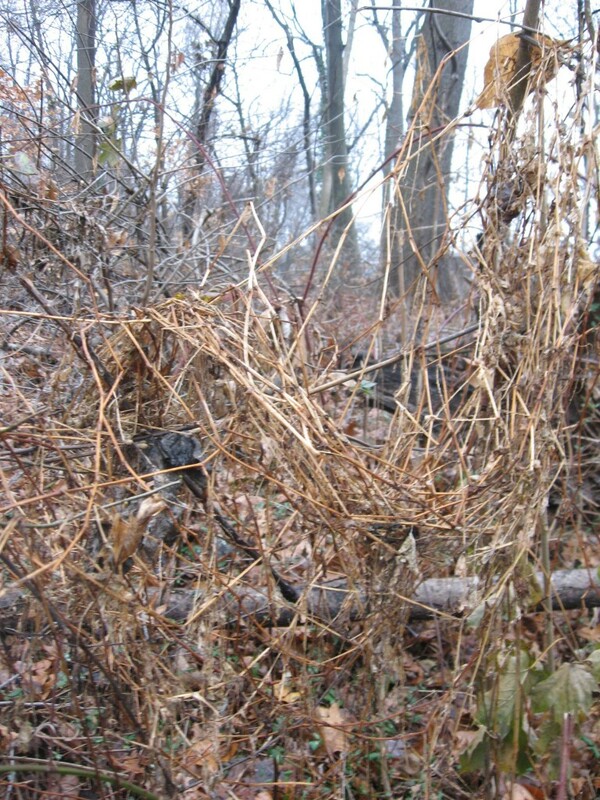 Please let us know if you have seen this vine or have a problem with it in the natural area near you! This past August, 2012, another dying Ash tree crashed to the ground, taking down with it a young Hickory Tree. The Hickory tree was bent all the way down, but not cracked on its main trunk. On further inspection a lower branch was severed. 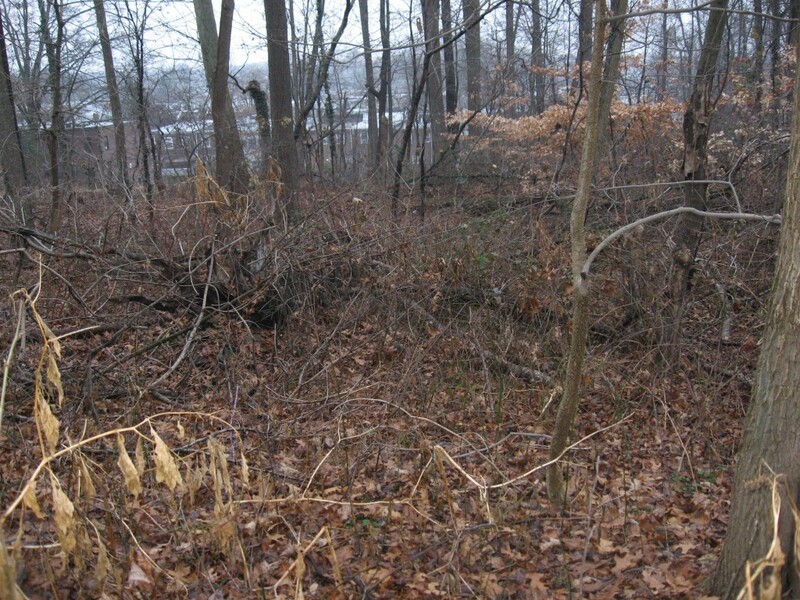 This is a part of the forest that is close to the edge of Morris Park, and there are many invasives in this area, which we regularly remove, such as the Japanese Angelica Tree (Aralia elata), the Tree of Heaven (Ailanthus altissima), Norway Maple, The Burning Bush, (Euonymus alatus), Japanese Privet, English Ivy, Japanese Pachysandra, Garlic Mustard (Alliaria petiolata) and the Vinca Vine. We are trying to maintain the existing forest and to encourage the future forest in this challenging area full of garden escapes. There was some discussion about the best way to handle this immediate problem. How to get that dead ash tree off of the Hickory. As far as the why bother is concerned, there is the #1 issue of the invasives taking every opportunity to dominate, and the #2 ongoing land management issue. In this degraded urban forest situation, it is us community members that care enough to become land managers, and do what we can to protect and preserve this small portion of the 9000 acres of Fairmount Park. In the area of scope that we concern ourselves with, every tree is given thoughtful consideration. 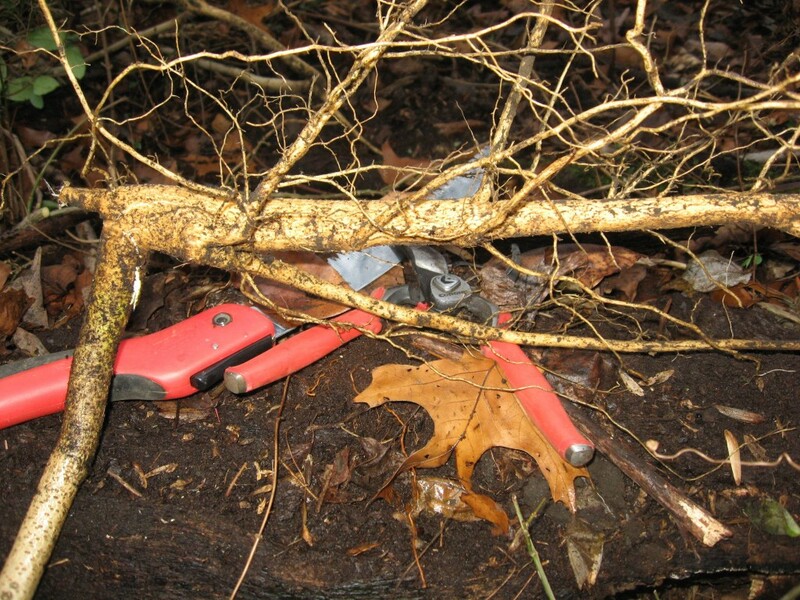 As a sanctioned volunteer group, our permit does not allow us to use chainsaws, but we are allowed to use handtools. 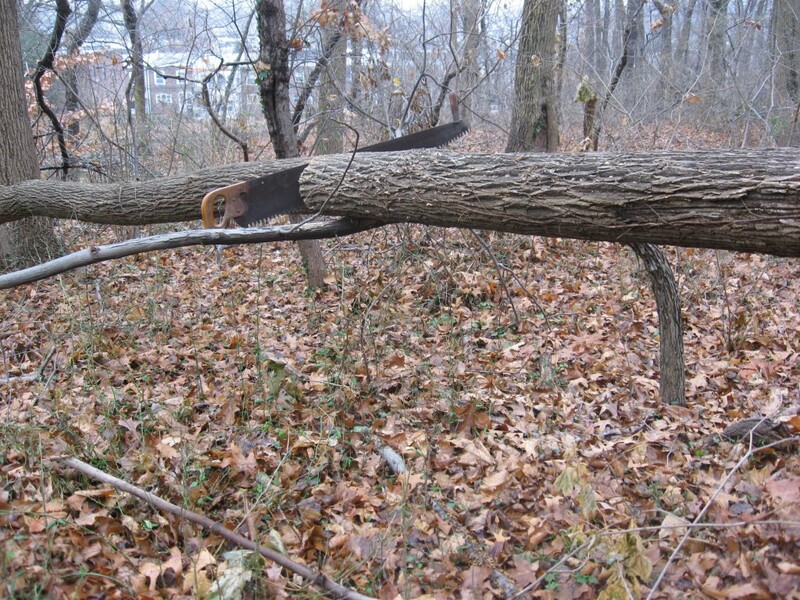 As pictured below, this hand-saw was able to cut through the fallen ash tree as if it were a stick of butter. It went so fast, there was barely time to stop long enough for a photo. No need for a chainsaw in this specific situation. How could this be, no chainsaw, and the job done? It all started with the Flea market at the Eastern State Penitentiary in Fairmount, Spring 2005. This Philadelphia-Made Disston saw was purchased for the asking price of $20.00. It was an old looking 19th century rusty old thing. It is a two person saw, and if you look at the end in the picture below, you will see a handle rising above the very end of it. This saw sat for some time in the basement of our Parkside office until it was time for it to rise to the call of duty. The saw needed some basic restoration before it could become the amazing steel slicing mechanism and the natural extension of our appendices it has become: A fine file was purchased, as well as some 100 and 150 grit sandpaper and a tin of 5 and 1 oil. First, the blade was sanded down, to remove the small amounts of rust that have accumulated on this fairly well- preserved saw. Then after this five minute exercise was completed, the filing of the blades commenced. The one inched long teeth, numbering to into the 70s, required a light filing, each and every one. Just like how we engage and manage each and every tree in our current area of scope in Morris Park, every tooth of this saw was sharpened in an exercise that took about one hour. Than the saw was oiled with the Five and One. The restoration took all said and done, about one hour and fifteen minutes. The gleaming, super-sharp hand-saw was ready for the job. Most inspiring is a photograph that shows workers at a Disston Saw plant in Philadelphia hand- sharpening each tooth of a really large 7 or 8 foot in diameter blade. So thats how its done. Hate to think of what trees these old blades cut through though. The Disston hand-saw is no longer made. These products are easily found (for now), and easily rehabilitated. The Ash tree was cut, and the Hickory Tree, liberated from the weight, rebounded into the air on this fine Monday, December 17, 2012. So the time has come where we Humans are in charge of the great forests. We need to manage them, controlling invasives and encouraging native trees and now we even find ourselves controlling native species that have gone out of their natural controls, due to human-induced habitat and species loss. New York has famous trees, notably the American Elms of Central Park, found along the Mall, these trees are spared no expense, live in a posh area of town and are often photographed and admired. Being American Elms, these cherished trees represent an age of the country lost through time and disease; The central Park Elm allee is a surviving remnant of the American main street, which at one time had a cathedral-like row of Elms gracing the town. To see this Central Park row in person has the wow effect that was desired in these trees and an illustration of what was achieved in American towns before the blight. The Elm allee is the aesthetic ideal of another time, one that was killed-off by the imported Dutch-Elm disease and has never been fully re-created in the following eras. The American Elms of Central Park stand today as a living museum of the ideal American urban streetscape of a long by-gone era. 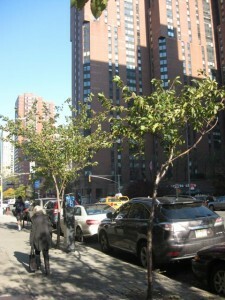 We are going to examine the post Elm tree period leading right up to the present in Manhattan’s Upper East Side, where we will find some magnificent re-creations of the cathedral of trees, as well as many bleak reminders of how far of a departure was made from the urban arboreal ideal in the contemporary landscape, as pictured above. These trees are not famous, and they are for the most part, experimental and barely able to survive some of the most harsh conditions possible, many of them diseased and stressed. 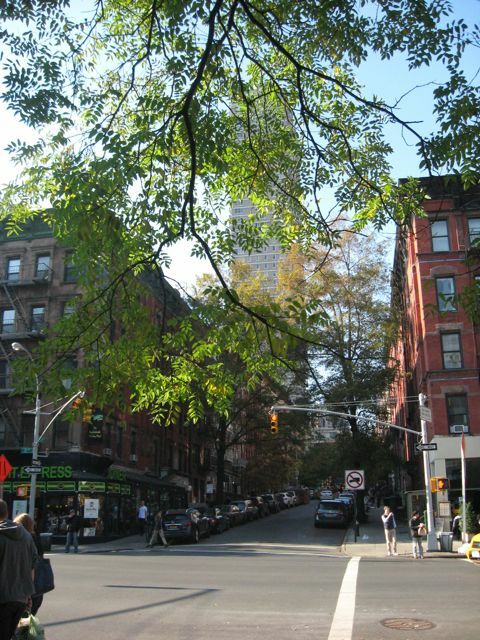 However, these trees are loved by New Yorkers, and there is a re-newed appreciation for trees in general, from private development to urban planning, street trees are coming back into fashion! Above, the scene before us, architecturally, is a victim of the lack of taste in the twentieth century as well as the either completely lacking or incoherent public policy towards tree planting in the era. Like in many places, this part of Manhattan was at the wrong place at the wrong time. 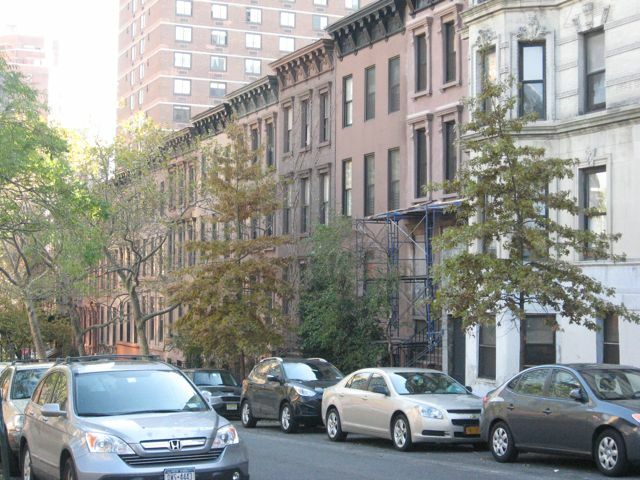 Into the 100s along Lexington Ave, we find ourselves in a well preserved neighborhood architecturally, and we are able to read the landscape from the point of view of the intentions of one era- late 19th century brownstones and apartment buildings. There are few trees, but we are seeing mature Honey-Locusts like the one pictured above, and recently planted White Oaks on some blocks. 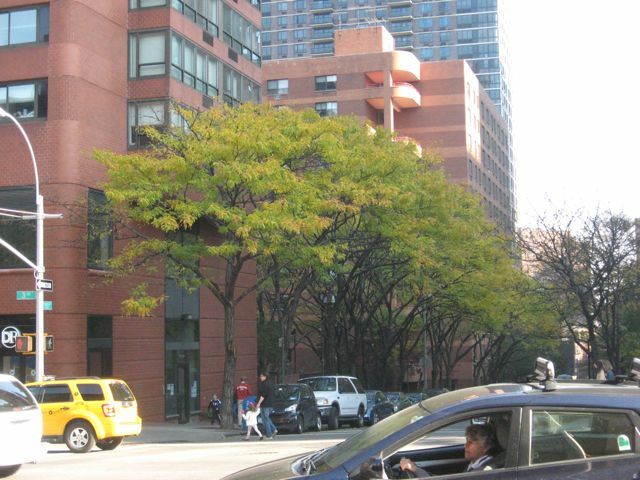 The Honey Locust has been planted throughout the Upper East side of Manhattan, and is the most common street tree found. 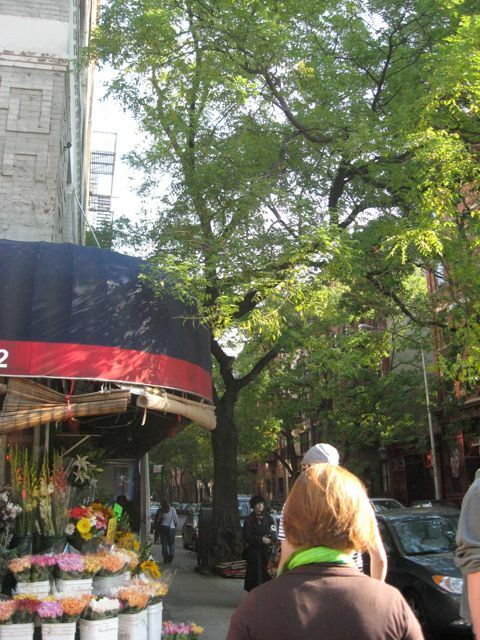 Below, while the architecture is unfortunate save a couple of elegant curving walls, those involved with the planning stage of this structural outburst had good intentions and planted a row of Honey Locusts that create the effect of the Elm allee of America’s Main street. The result is at least a block that is possibly walkable, even at this bare minimum of aesthetic acceptability. This row of trees gives charm to what would otherwise be a completely unacceptable landscape. While the street trees above give life to a barren landscape, they add a pleasant dimension to the late 19th century urban landscape in contemporary use pictured below. The apartments above, with the stores at the street level create a comfortable city, one that is idealized today in the present movement towards a ‘new’ urbanization. The mature Honey-Locusts add another sweet layer to this modern ideal of the charming old city, re-energized and full of amenities; trees especially! 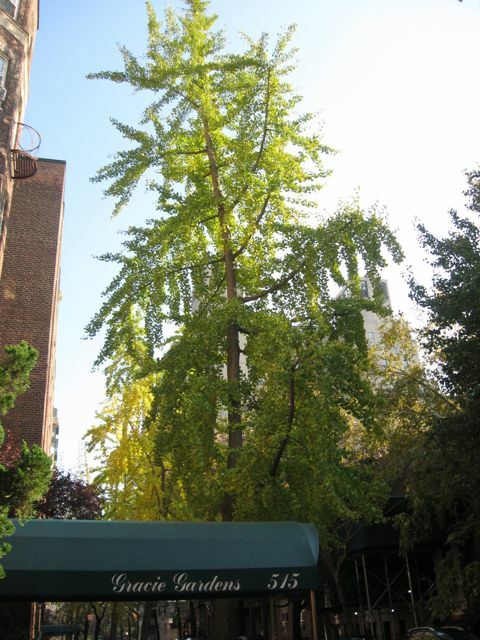 The Ginko tree can be found often enough on the streets of the Upper East Side. Note the distinctive branching habit of this tree, very noticeable in this specimen. The tree appears as if it is waving at you with its many, many arms. The unusual fan-shaped leaves turn a bright yellow in the fall. Still a favorite, Ginko continues to be planted. On this street, this young specimen is planted alongside older ones, presumably to maintain the continuity of the species on the block. Isabelle poses with our host Paul. 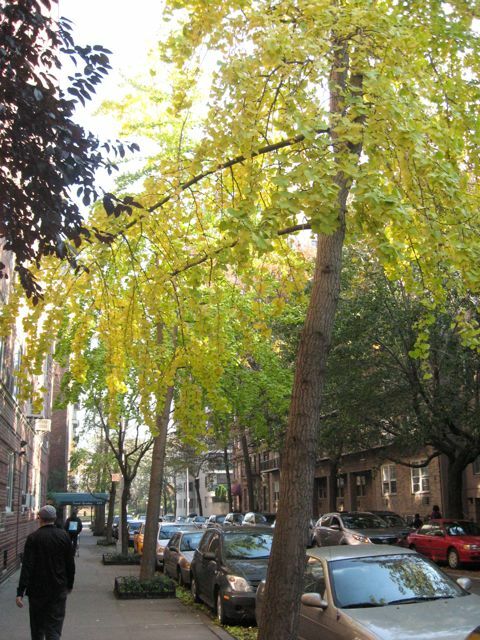 Here the Ginko trees are displaying their magnificence and street-tree savvy, creating for us the perfect fall day. One has died on this row of Ginkos alongside Carl Shurz park. Notice how much the trees contribute to this urban scene. The East River adds even more to the naturalistic setting creating a sense of place to the concrete and asphalt grid of the city. 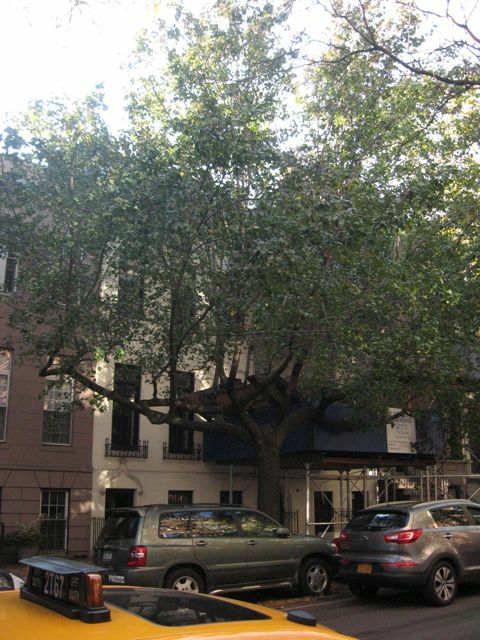 This next scene is a blend of mature Oaks and London Plane trees on this block of elegant brownstone rowhouses. The City of New York has done a great job in maintaining these trees over the years, keeping them pruned in a pleasing sustainable manner. The trees and the houses appear comfortable together, especially how the trees have been pruned so they lean away from them, so they are in no way threatening. The oak tree has become increasingly common in recent times. On this block, somebody is very concerned about the trees, and has placed watering bags around them. Now is the time to remove the bags, so mold does not develop around the tree. The best approach with using these bags is to zip them around the tree, fill them up and remove them the next day after they have slowly watered the tree for ten hours. 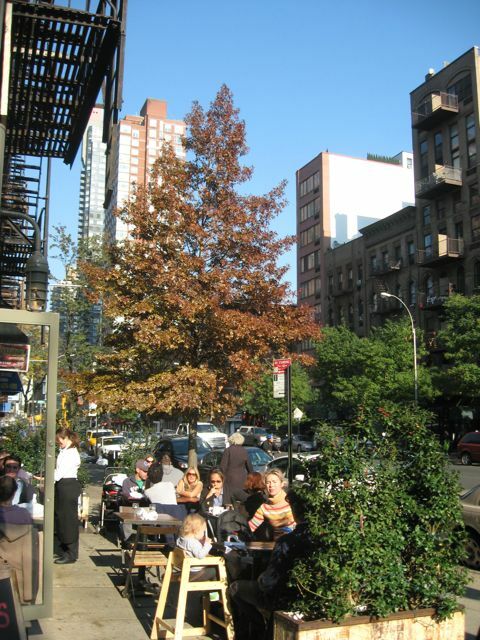 Here a young oak tree is contributing to the renewed urban landscape: here can be seen that cities, trees and shrubs can be a very pleasant combination, and an economical one at that, as this restaurant exemplifies. 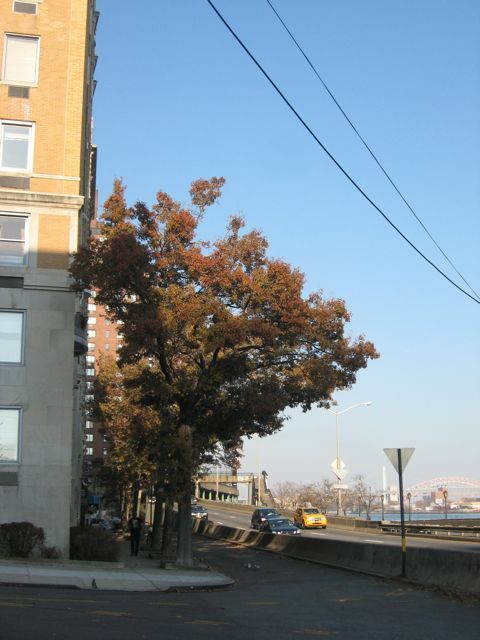 Below, the Oak trees here provide a much needed buffer between the apartment building and the highway. On this block of Brownstones, the oaks are replacing the London Planes. Here is an American Elm, growing not from the curbside, but from the tiny garden in front of the Brownstone at the far left. We encountered these Japanese cherry trees on our walk. These are very popular trees because of their blossoms. 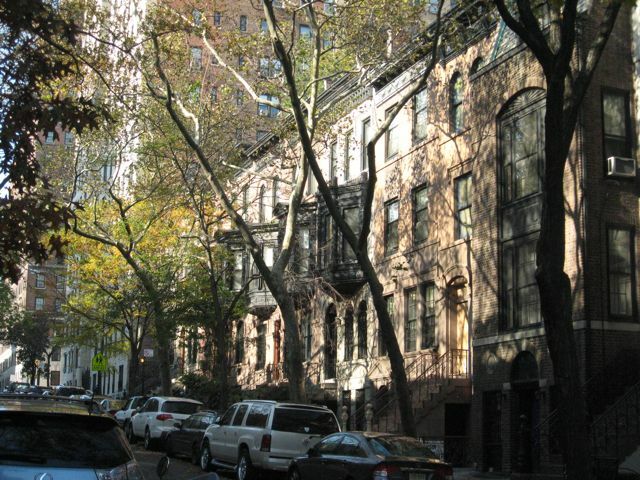 On some streets, we find the scale of the trees with the brownstones very pleasing; the houses and the trees work together aesthetically to create an urban atmosphere that is settling. The towering structures of housing that have become such an integral part of the contemporary global urban landscape clash with the urban ideal of scaled down 18th and 19th century buildings, renovated and updated, set in a landscape of trees and small parks. The tall towers rise to the occasion, and fulfill the demand for populating these cities, but they fail miserably on fulfilling the ideal. We are now starting to see green roofs and green walls pop up here and there, and the wealthiest can have small trees on their rooftop terraces. But now that we have settled on the ideal of trees and cities being together, that this is a winning combination economically, that people will pay for this, there needs to be creative solutions right away. The picture to the left of the sad-looking Japanese Cherry trees illustrates the need for cities to adapt to the growing demand for ‘livability’. 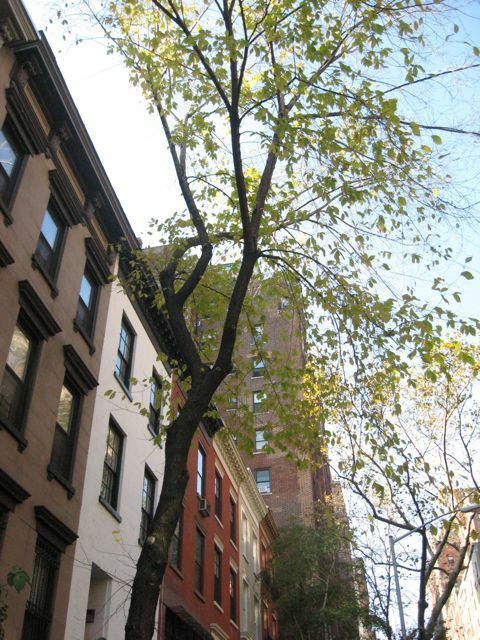 Street trees are in demand. Maybe tall buildings can be designed with allees of trees on upper floors, using specimens that are small and can occupy pots. Street life could become elevated, with commerce on upper floors of buildings as well. If cities are going to become the most desirable places to live, than they should be fitted with the most appropriate trees in as much space as possible, to create a place that is comfortable and truly fitting to the region of the city. Trees native to the region of the city would fall into the category of the most appropriate. These are the trees that will survive the climate the best, as well as be supporting to the habitat of native species of insects and birds that will add charm and the sense of place to the urban landscape. When thinking of native habitat, imagine crickets and fireflies, katydids and hummingbirds, just for starters, all in an urban neighborhood! 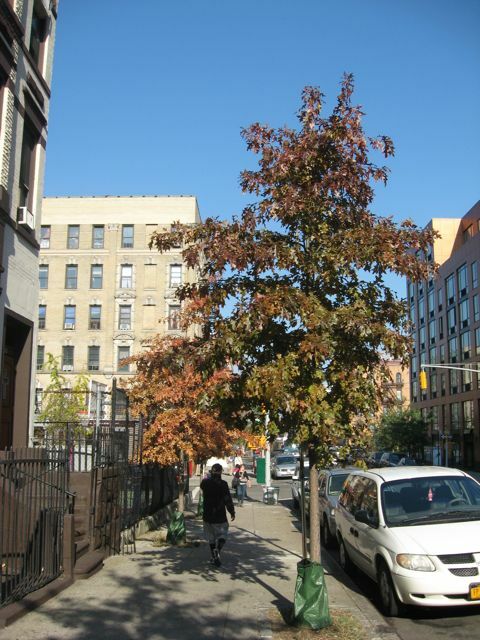 The Callery pear, a most unfortunate New York Street tree, native to East Asia, this tree has become problematic, with weak branches and a tendency to reseed itself in natural areas and has now become an invasive pest as well, this tree has not helped the cause of street tree appreciation. Cultivars such as the ‘Cleveland select’ have become recently fashionable because they do not have the problem of breaking branches and offer a more compact shape. These trees bloom for a short period in the Spring, and they hold their waxy leaves until very late in the fall. In the picture above, we can see what a street tree must endure during its life; this London Plane has survived so far, with the metal grate protecting it. The grate is designed to be cut with a metal grinder at certain intervals of the tree’s growth. This grate is ready to be cut for the next iteration of its life. 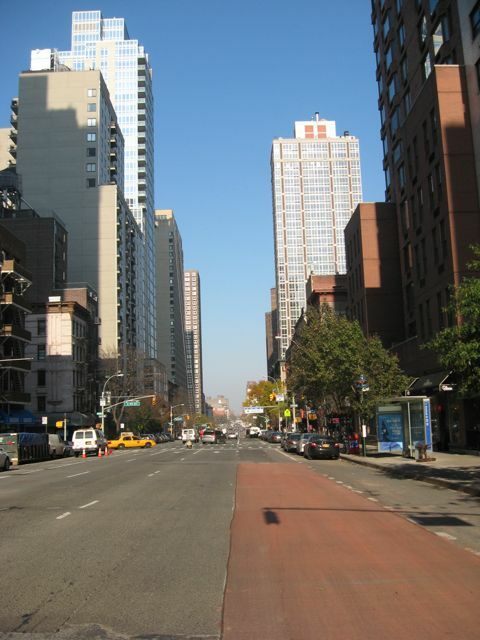 As pictured above, Manhattan has an exemplary quality to show the distance of itself, as we see looking north on Lexington ave at 101st towards 125th street. Looking off towards this horizon, we see trees off in the blocks ahead and our thoughts are directed towards this distance, where the sky meets the tops of the trees. Like the cities they inhabit, street trees are planted, growing, dying, falling and re-emerging or just emerging for the first time in a new incarnation as a street tree. 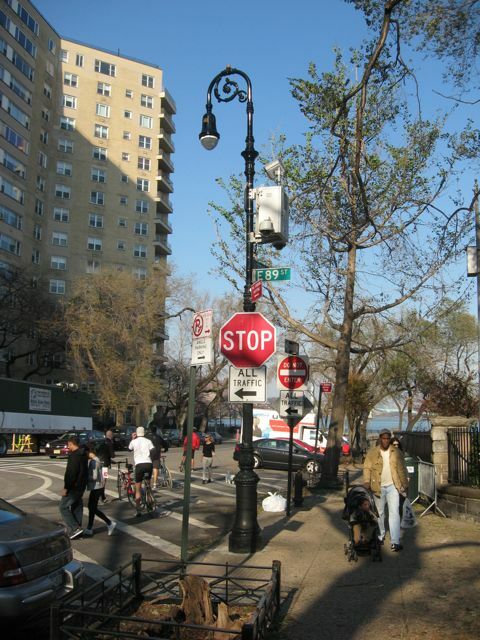 Street trees are very much the product of fashions and trends, many of which are no longer planted as frequently, and the final results are yet to come. Many trees become susceptible to disease and blight, and when this happens, woe is the block with all of the same species on it. Some trees like the Callery pear were just a mistake to begin with. 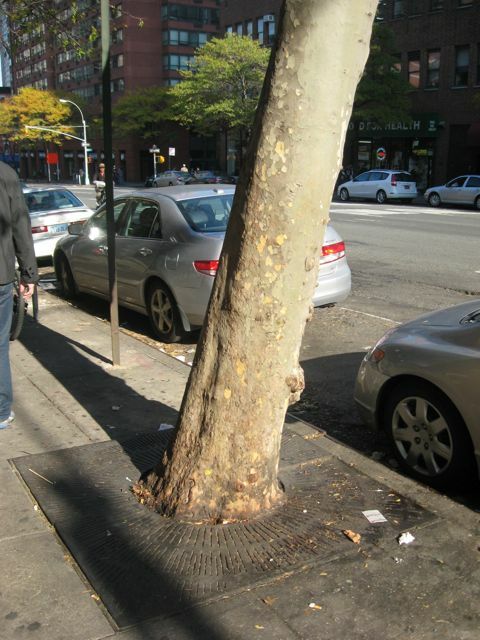 As the trendy street trees of the recent past get older, we will be learning more of their problematic issues. Female Ginkos drop some odorific fruits that could be classified as a problem by some and are harvested by others. This is still a time-tested tree with a degree of status in the realm of street trees. New ones such as the native Redbud and Serviceberry are on the horizon. New York City recommends that these trees be planted with a single stem, shunning the shrub-like tendencies of these two species for planting along the street. 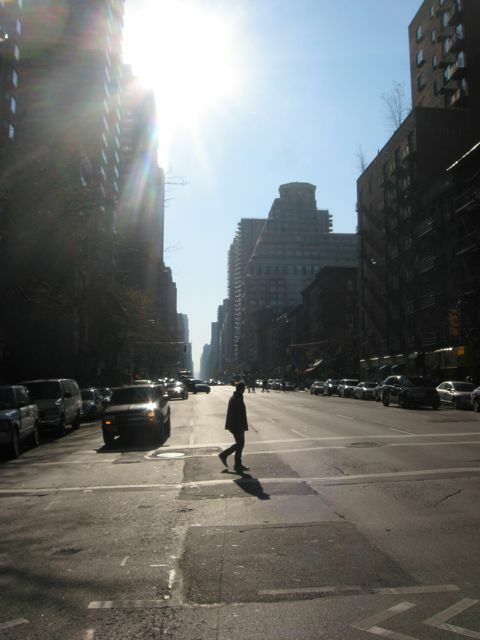 New York City is fully aware of the problematic ones, and discourages them. 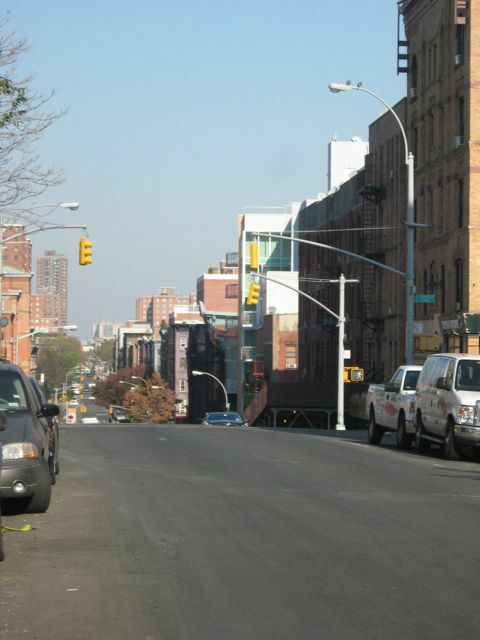 Because of the Emerald Ash Borer, some trees are not recommended for planting at all in most boroughs. 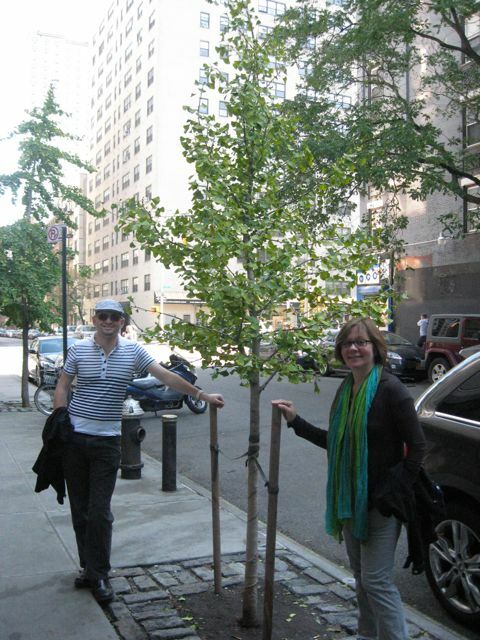 New York City has launched an initiative to plant one million trees by 2017. 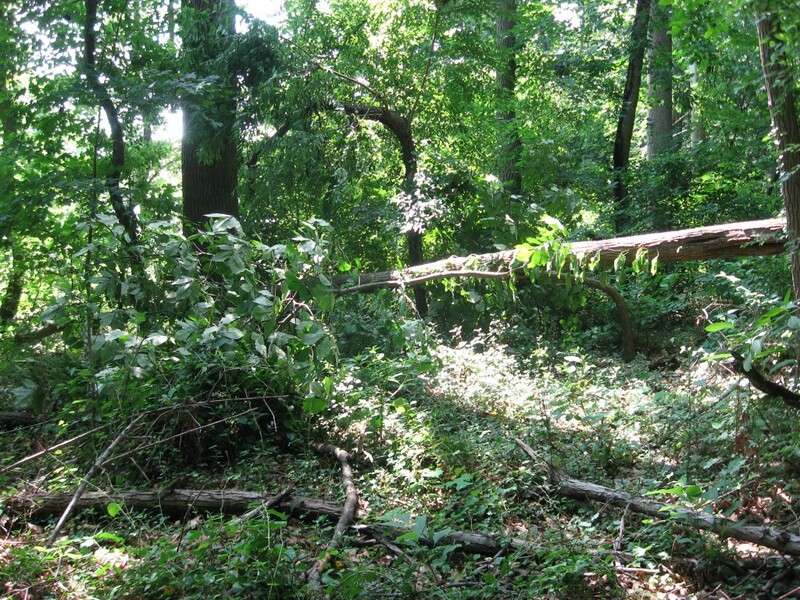 Over 8000 trees were downed by Hurricane Sandy. There is a trend towards diversity and trees that are native, and this is the result of many years of mistakes. The grand Allee of matching trees is being replaced with a smarter and a wizened, world weary approach to urban tree assemblages: More native, more hardy in harsh conditions, diverse in species and the least expensive to maintain.